In June 1969, Gov. Albert Brewer announced the creation of the new University of Alabama system, consisting of independent campuses in Birmingham and Huntsville in addition to the main campus in Tuscaloosa. 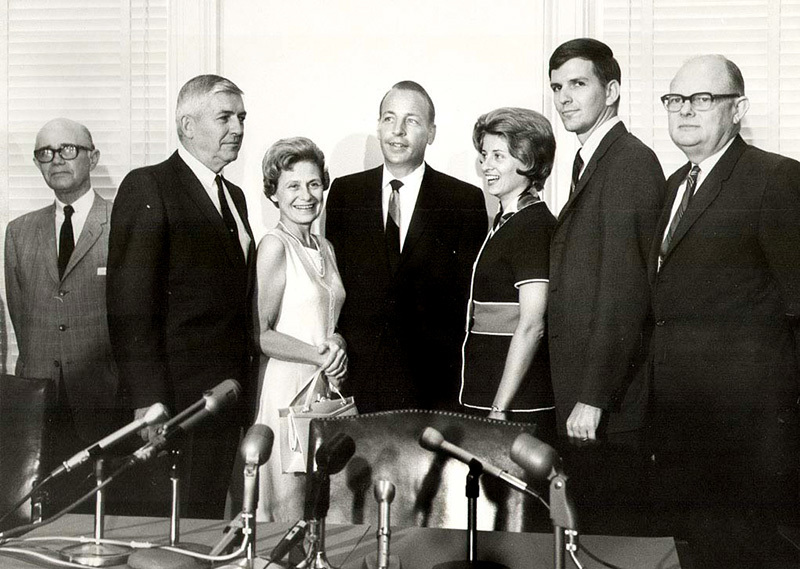 Pictured here with Brewer (center) are Dr. Joseph Volker, first president of UAB, and his wife Juanita, both standing to the left of Brewer.